Established in 1990, with the aim to Design and Produce electronic instruments for Scientific Research and Electronic Labs. After a period of other tasks, activity is renovated and extended, as explained below. – or to turn to a very different, smart and balanced way, but unknown to the mainstream science and politics! Parts of this mysterious right way are to some extent known to many open-minded people, learned and accepted some of the alternative and complementary Science-philosophical theories for the creation and existence of Human and Nature. Unfortunately their knowledge is only partial and theoretical. They are either not willing, or completely helpless how to explain it comprehensibly to the people, and how to apply it in practice. Many of them oppose and criticize each other, their mistakes and omissions. Similar apply to the mainstream science, not quite aware of its own stagnation and misconceptions. The Promising Way is to unite everything right and useful from them all, mutually complement, correct and improve, in order to create the mighty wise Hero, which can save and improve the world. Elementary, Watson, as a popular film hero loved to say! harmless and safe, on new principles, or on merging contemporary science with the forgotten ancient wisdom. 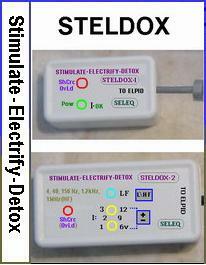 Such devices are getting more and more necessary, due to the increasing number of diseases and patients, incurable by the conventional doctors, despite of their claims to the opposite. still Terra Incognita for most of today's science, which prefers hiding under the claim "This is Non-scientific, this is quackery", and doesn't even try to make it scientific! about the possible ways for this Science integration and unification. The right and ability for all changes toward this remarkable better life is inside each one of us, in our mind and will. SELEQ is located now in State College, the small university town of the Penn State University, in the Center of Pennsylvania, USA. 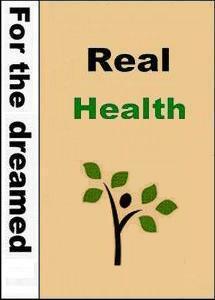 Alternative Health - World Wide Health offers complementary and alternative health resources including a health directory of therapists and products, and a library of articles by health professionals. A lot of Self Improvement articles and references to many other similar Web Sites. A Leading Holistic and Alternative Medicine Resource Directory. Be healthy and feel alive, find yourself, expand your mind, heal you body, on your journey to wellness.